Mixed Martial Arts it’s the latest craze in sports. The big fights are seen by millions worldwide. 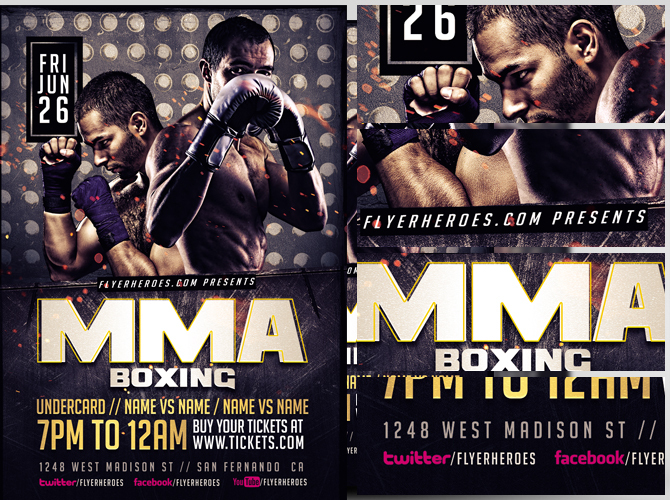 For the next MMA event, gather fans at your bar or restaurant with the MMA Flyer Template V3 from FlyerHeroes! With the fighters’ front and center, the main images of the tough and ready athletes with grab anybody’s attention. From there, the slick design and textured background move their eyes to the big, bold typography. You can change anything you choose in this flyer – add your own flair by re-arrange the layout. You don’t have to be a photoshop expert to make this flyer your own,. 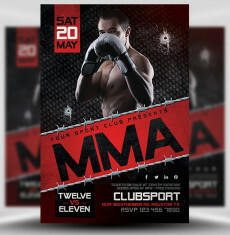 The text is also 100% completely customizable, so let the sports fans know all the details of your upcoming MMA event! Add the date, the time, the fighters involved – plus, with some social media connections, get the excitement going early. High-quality images. 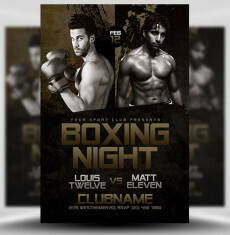 High-resolution flyer. Effective and visually stunning. 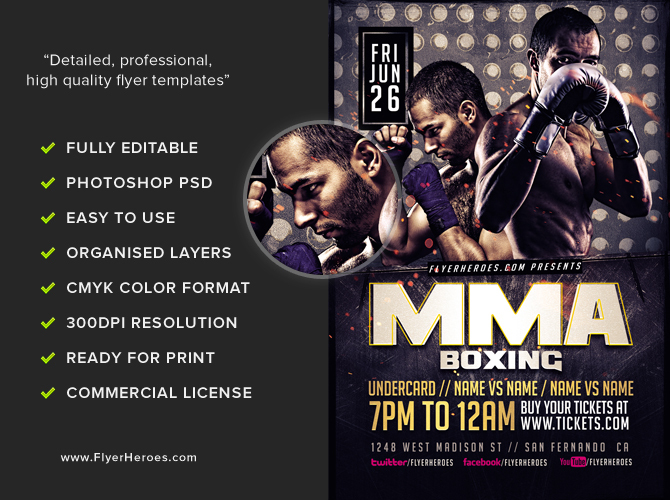 The MMA Flyer Template V3 is available now! 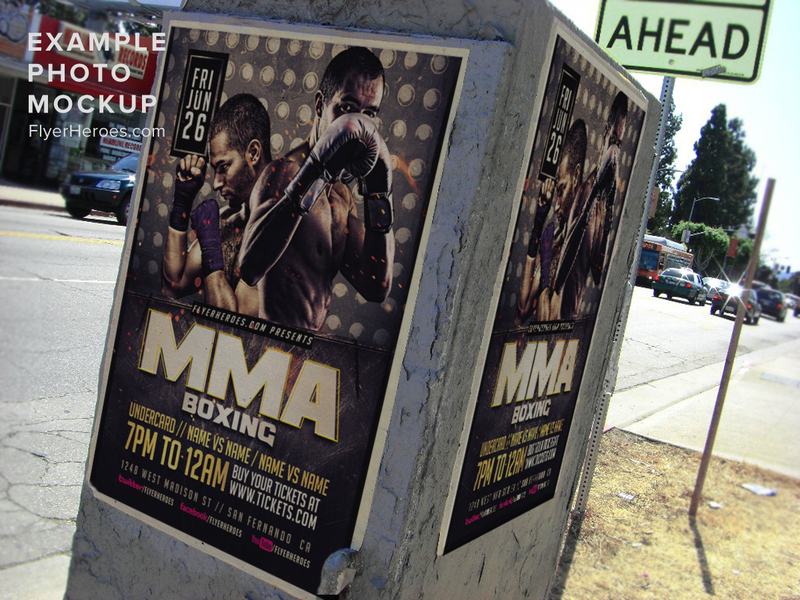 Once you discover how effective this flyer is, you’ll want to use our flyers to promote all of your events! Good news for you; we have countless flyers available to you. The Baseball Flyer Template V2 is perfect for to promote the big game. 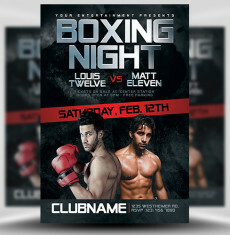 The Hockey Game Flyer Template will grab the attention of any puck lover. Take a look around and search in the bar above to find the perfect flyer for you! 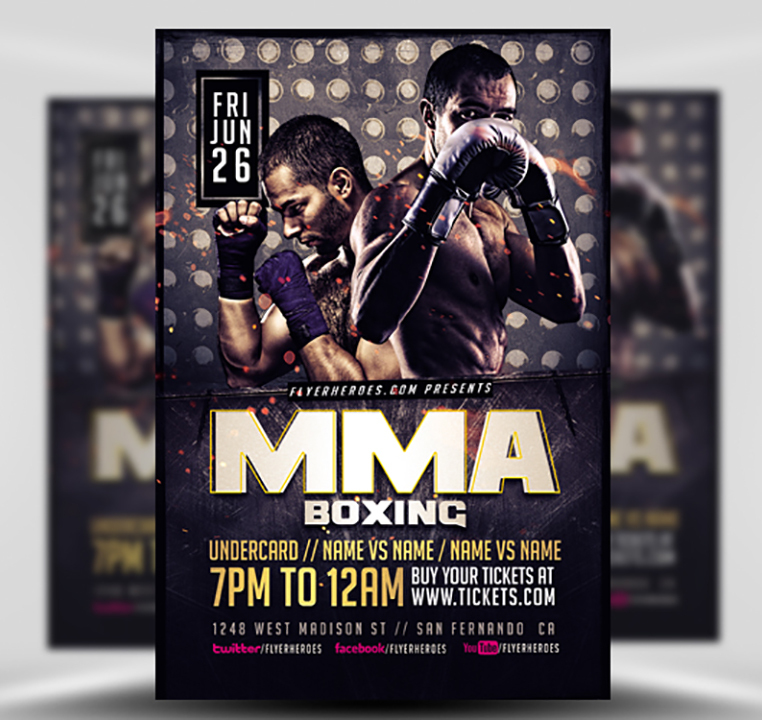 For the next big fight in the octagon, pack your bar or restaurant with the MMA Flyer Template V3 from the pros right here at FlyerHeroes! 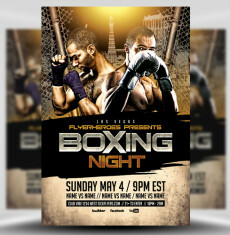 The MMA Flyer Template V3 is a premium Photoshop PSD flyer / poster template designed by FlyerHeroes to be used with Photoshop CS4 and higher.